Send message via UntrustedMessage capability with body, call response when done. Definition at line 38 of file llcaphttpsender.h. Definition at line 37 of file llcaphttpsender.cpp. 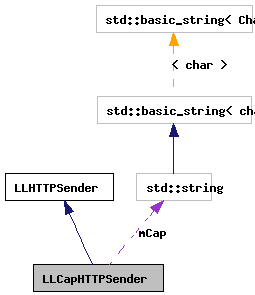 Definition at line 43 of file llcaphttpsender.cpp. References llendl, llinfos, mCap, and LLHTTPClient::post(). Definition at line 50 of file llcaphttpsender.h.